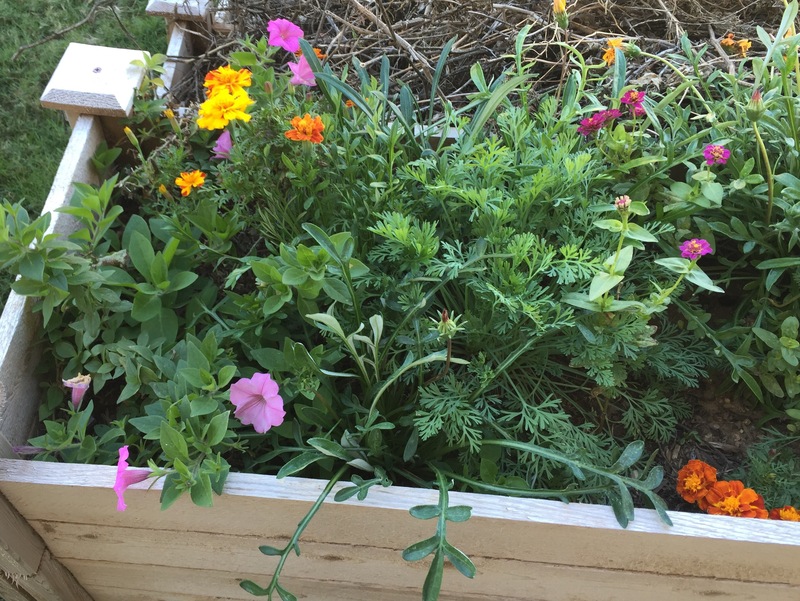 Is this what a flower bed looks like in central Texas in mid-December? It’s what mine–or at least one of mine–looks like as of today. 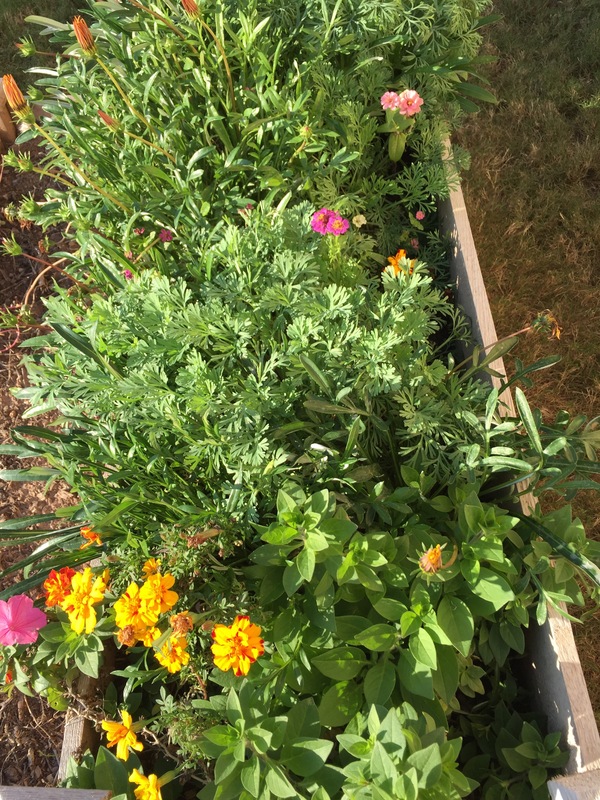 It’s the first year for the flower beds, so even though we lived in Texas last December, I hadn’t put the raised flower beds in. I’m thrilled with the flowers that have survived since March. Yes, March! Coming from Wisconsin’s much shorter growing season, I love the extra time I get to enjoy my zinnias, marigolds, poppies and gazanias. Mind you, it’s just one of the three beds that have kept blooming, but it’s the bed that was shielded much of April through July by the flowers in the lower tiers. 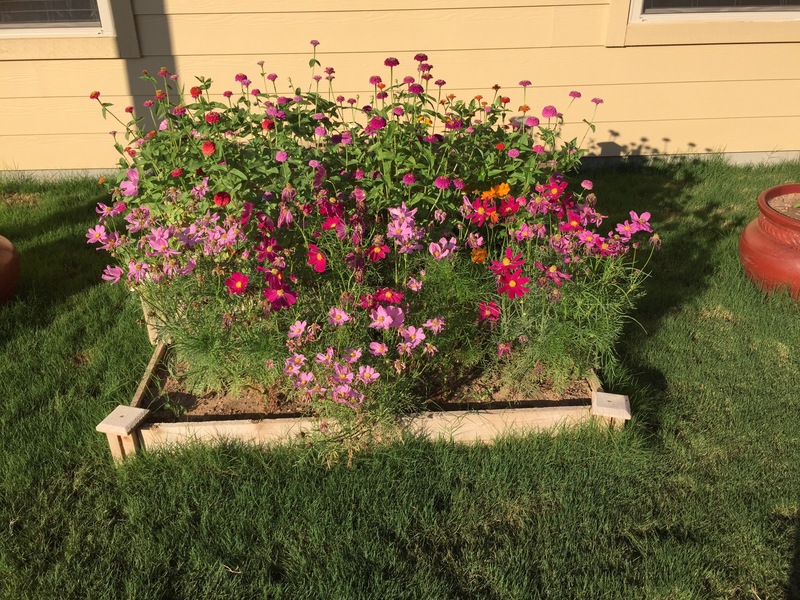 You can’t see any of the flowers in the top tier of this raised bed. 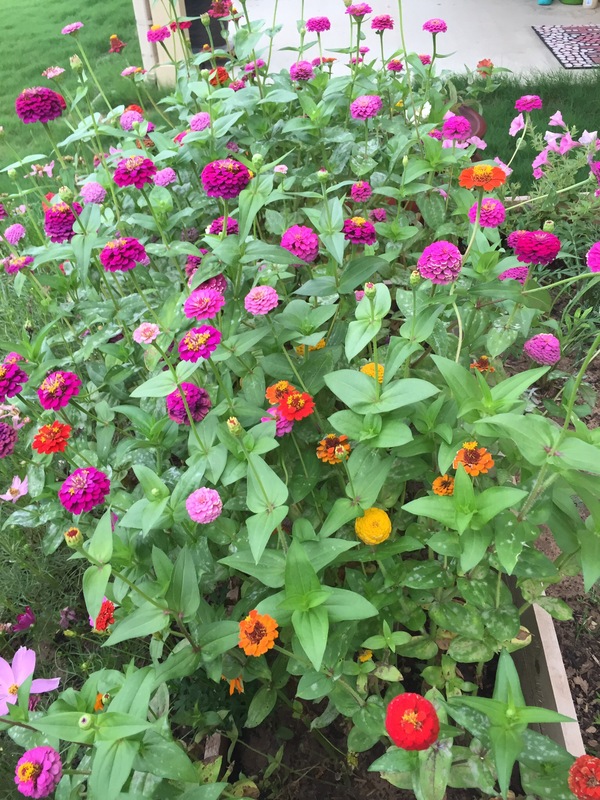 I absolutely adored the many bigger zinnias and cosmo that graced those beds during the heart of summer. But it seems appropriate that the top-tier flowers now get a little time to shine on their own. It would be wonderful if they would last into the new year. Or longer.